This podcast brings you conspiracies in bit sized pieces. We like to ask the tough questions like: do aliens eat beef? Or what happened to Kyron Horman? Listen in then send me your favorite Conspiracies! Will we ever really know what happened to Marilyn Monroe? In 2013, Edward Snowden leaked sensitive information from the NSA. What do we know now? Arrests were made back in November 2018 for the killings of the Rhoden Family. Who did it and why? A quick recap of where 5 Minute Conspiracies is headed in the future! On April 22nd, 2016 a family of 8 were murdered in their trailers in the early morning hours. While Marijuana plants were found on the property, no specific motive has been uncovered and no arrests have been made. What happened? Why the bloodshed? 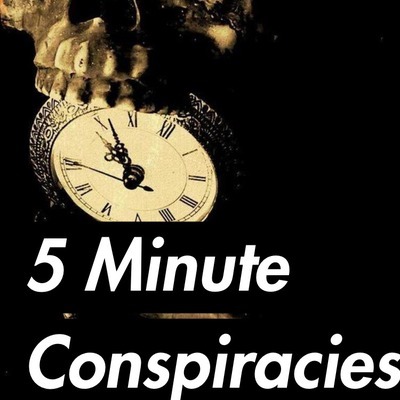 We talk about these questions on this episode of 5 Minute Conspiracies. Ep 34 The Disappearance of Martha Wright? 1975, a woman by the name of Martha Wright gets out of her car in the Lincoln Tunnel and vanishes into thin air. What are the theories? A mysterious man, with a love of jazz, wrecked havoc in New Orleans back in the early 1900’s. Who was he?? What are chemtrails and why are some so against geoengineering? So what do you call it when society remembers something one way but it turns out just not to be true? The Mandela Effect! Let's play a game this episode. A mysterious ship shows up outside of Mynmar. The ghostship. The files of the famous inventor were seized upon his death by the US in New York. Could something dangerous have been thought up in there? This week we get a call in from Cigar Ralphy, talk about Youtube, and discuss Hitler's Teeth in this episode of current strange events. Oh Well Hi! This week's episode is about the very verbose Alex Jones, a man who is a very outspoken conspiracy theorist. Alex Jones has recently gotten himself in a bit of hot water. We discuss what happened and what got him to this place on this week's episode of 5 Minute Conspiracies. This current strange events, we talk about the weird group QAnon and talk about the man who set the fire in Southern California recently. Three men escape from Alcatraz but their bodies were never found. We talk about the men and a mysterious letter on this week's episode! A new mini episode talking about strange events in the news! Where do you even begin when talking about Scientology. This episode we touch on Celebrities, reprogramming, and their attempt to infiltrate the IRS. Ep 24 Ancient Aliens- Aka How Did They Do It? These tiles started showing up in high traffic streets in Philadelphia and one man started noticing in the 90's. Where did they come from? What did they mean? Who did it? Find out on this episode of 5 Minute Conspiracies. On June 4th, 2010, 7 year old Kyron Horman goes missing from his school in Portland, OR. He just vanishes into thin air. The largest missing person's hunt in Oregon is underway with Police and FBI looking for little Kyron. What could have happened? Who could have done it? Let's discuss in this week's episode of 5 Minute Conspiracies. On March 8th, 2014 a flight leaving Kuala Lumpur disappears mid-flight taking almost 250 people with it. Where did it go? Aliens abducting cow theories have been around since the 1970's when a string of cow mutilations were happening. Was it aliens? Why would they be stealing our cows?? 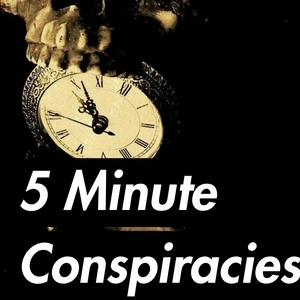 Hear my thoughts on this week's episode of 5 Minute Conspiracies. The Prime Minister of Australia, Harold Holt, disappeared when swimming in 1967. Many theories flew around from being a Chinese Spy to MURDER?? 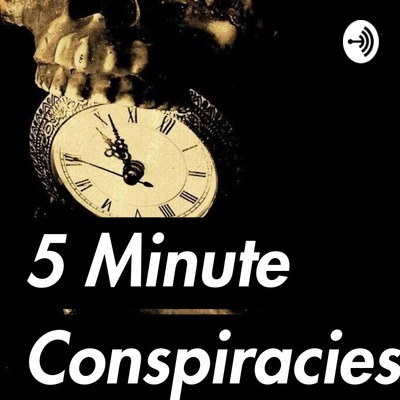 Listen to this week's podcast as we talk a little about Prime Minister Holt on this week's episode of 5 Minute Conspiracies. On our new segment Current Strange Events, we talk about a new hunt for the Loch Ness Monster, strange happenings in the Canadian Embassy, and a weird wolf that was shot in Montana. There are some reports of people being kidnapped by bigfoot. These individuals truly have the most interesting descriptions I've heard of bigfoot. Listen to hear one man's story on this week's episode. The government may be watching us closer than we thought. Could there have been an arcade game in the 1980's placed in Portland, OR to do just that? Cryogenics and nazis and freemasonry... OH MY. How do we know who could be Reptilian? What do they want? Is your neighbor a little weird? Could they be Reptilian? We look at all this on this week’s podcast! Interesting theories from shows like Stranger Things, Gilligan’s Island and more! Here are three interesting thoughts and ideas about Da Vinci's Last Supper! What really happened to Amelia? There are as many theories as there are stars it feels like. We talk about just a few on this episode. Could Mary Magdelen been protected by an ancient society once Jesus died? A&E is airing a show called the Lowe Files. It follows Rob Lowe and his two sons as they explore and look for big foot, hunt ghosts, and more. Here's my take on the show! Is there a tie between Jazz and MK-ULTRA? Listen and find out! Were the moon landings faked? Let's explore! We explore two conspiracies from the past, Operation Snow White and MK-ULTRA. There's been some weird activity going on in Antarctica. What's your theory? Paul McCartney crashed his car in November of 1966. However some people claim he never walked away from the crash and was replaced by a look alike. We uncover some evidence in this episode. The ideal weapon of war is small but causes maximum damage. In 1970's there was a rumor the USSR did just that. They called it Red Mercury. Is it fact or fake? Listen and check it out! In November of 2000, a time traveler by the name of John Titor suddenly appeared in an online forum and told the readers of a bleak future. Who was he? How did he get here? Listen and find out! Welcome to our first episode. We start with a series of mysterious tunnels running under Portland, OR that may have been used to sell able bodied men as slave labor to ships.